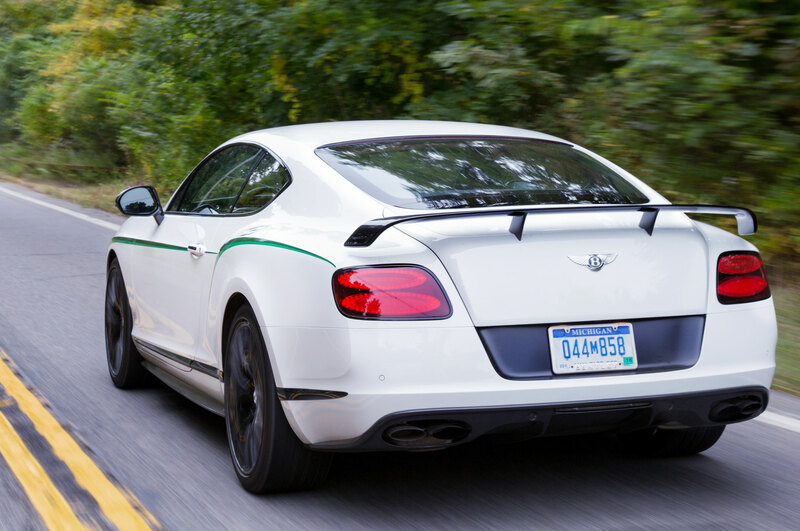 Amenia, New York — With the Continental series, Bentley has proven to be a master of the art of stratification, slicing the market for its already fast, already luxurious, and already expensive coupe (and convertible) into ever-finer striations of performance and exclusivity. 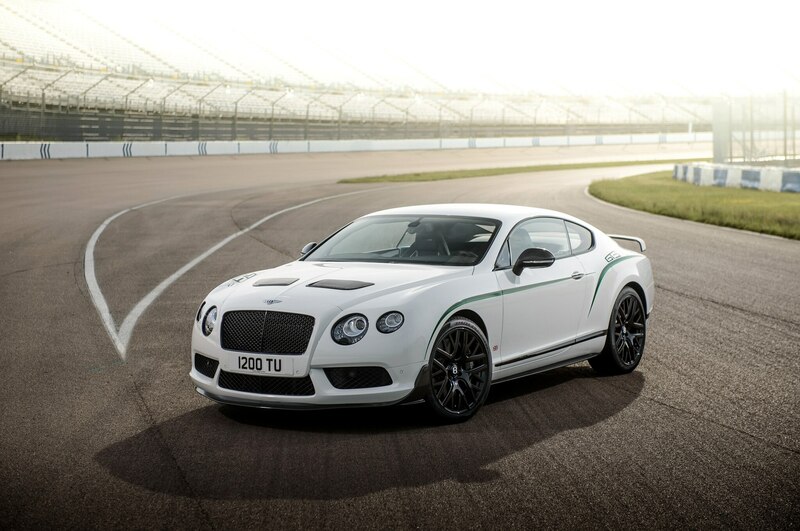 The latest example is the 2015 Bentley Continental GT3-R, which, for now at least, sits at the very apex of the Continental hierarchy. 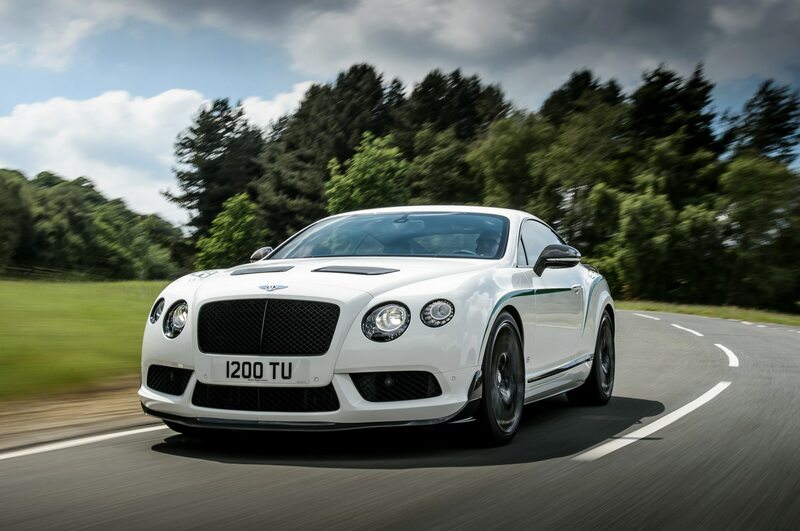 Although similar in concept to the previous Supersports, which departed with the prior-generation Continental, the GT3-R is a slightly different twist on the ultimate Continental GT. 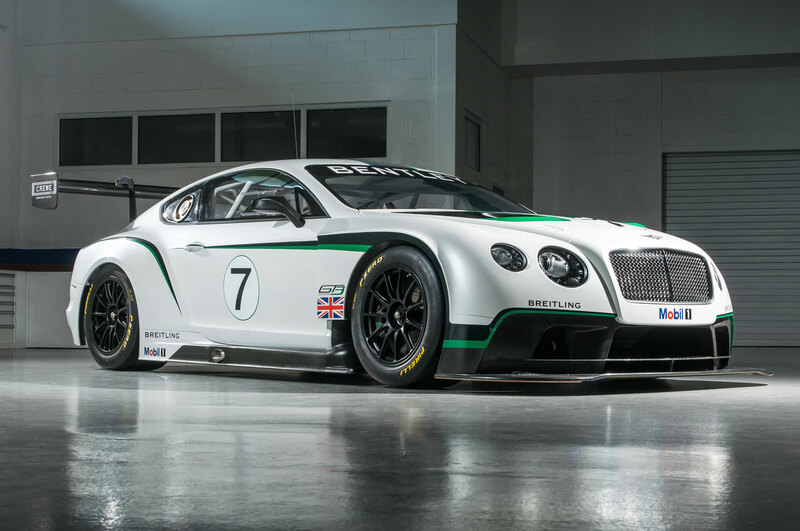 The GT3-R takes its inspiration from the Continental GT3 racing car, which runs in the Pirelli World Challenge in North America and the Blancpain Endurance Series in Europe. 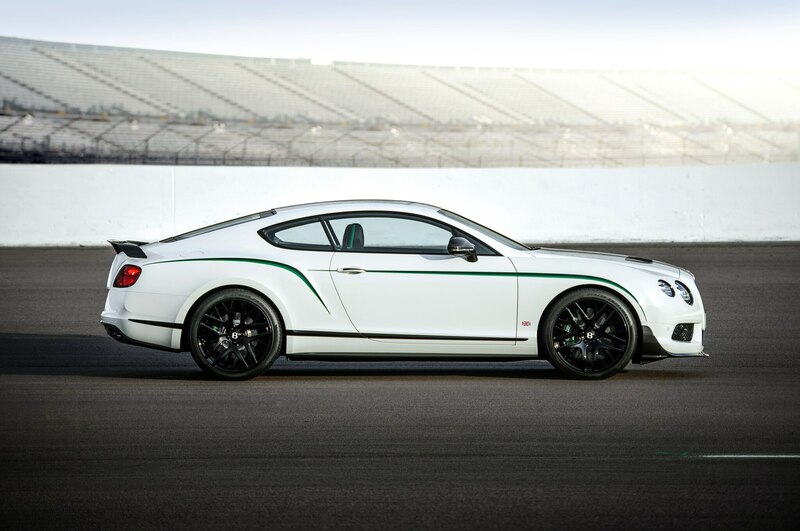 The GT3-R’s livery of white with green stripes — the only color scheme available — is taken directly from the racing car. 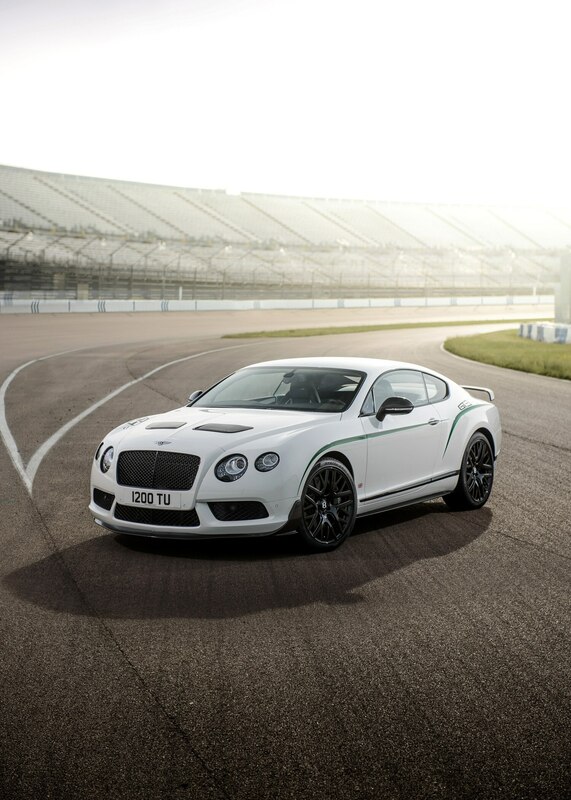 Other visuals are similarly borrowed from the racing car, including the full blackout trim, the unique black-finished 21-inch wheels, and the hood vents. 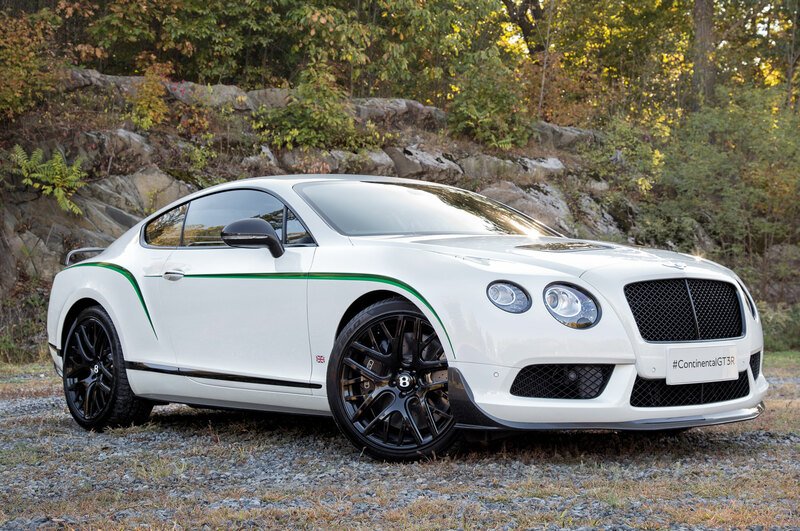 The front splitter, lower body extensions, door mirrors, and deck-mounted rear spoiler are all carbon fiber. 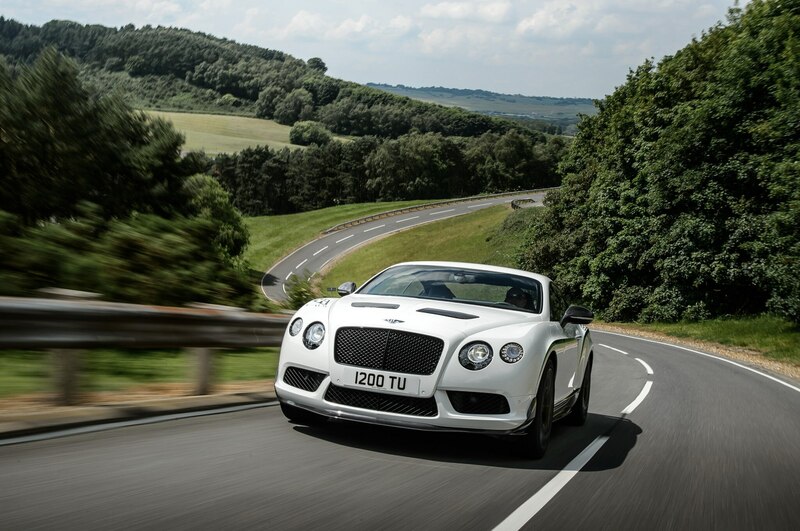 The sum total effect is racy indeed. 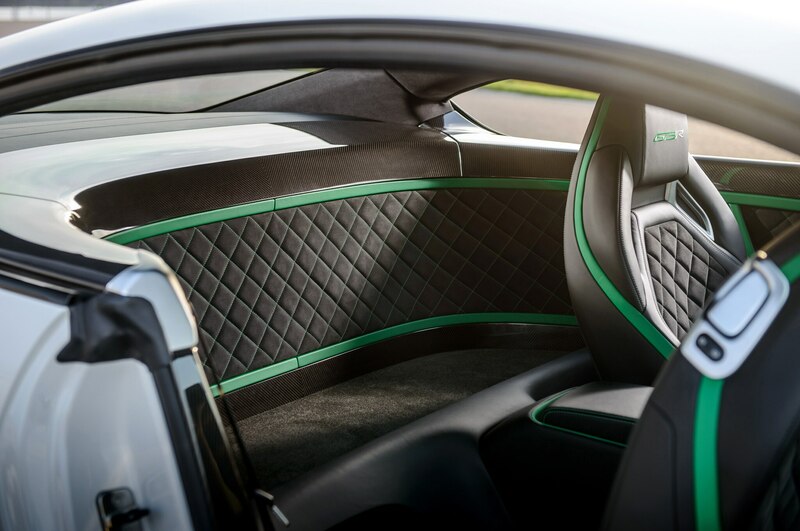 Inside, the same green accents enliven the otherwise all-black cabin, which is richly turned out in leather and Alcantara. 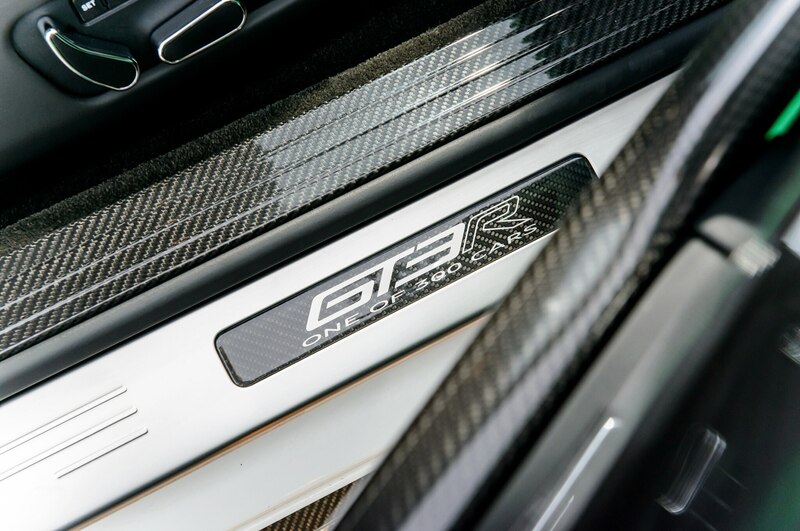 Again, there’s plenty of carbon fiber, which appears not just as a trim strip here and there, but covers the door panels in great swaths and features prominently in the cargo compartment carved out of the spot where the rear seat normally would be. 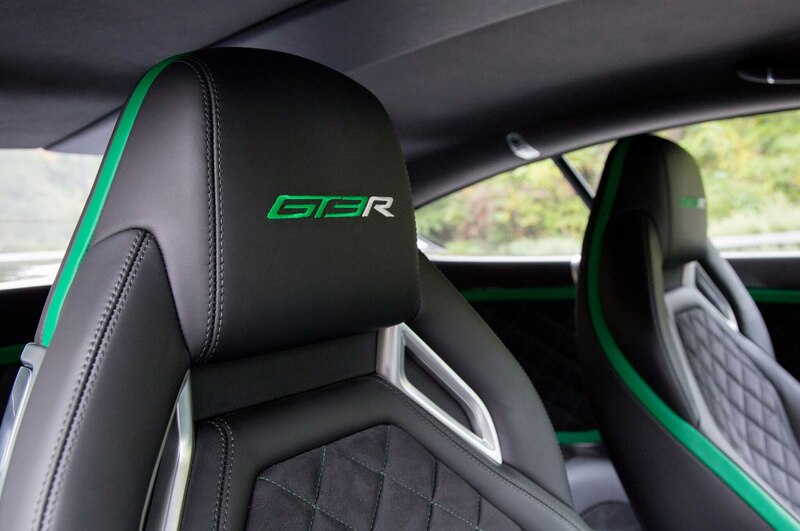 Unlike the Supersports, however, the GT3-R’s two remaining chairs do retain their power adjustment. 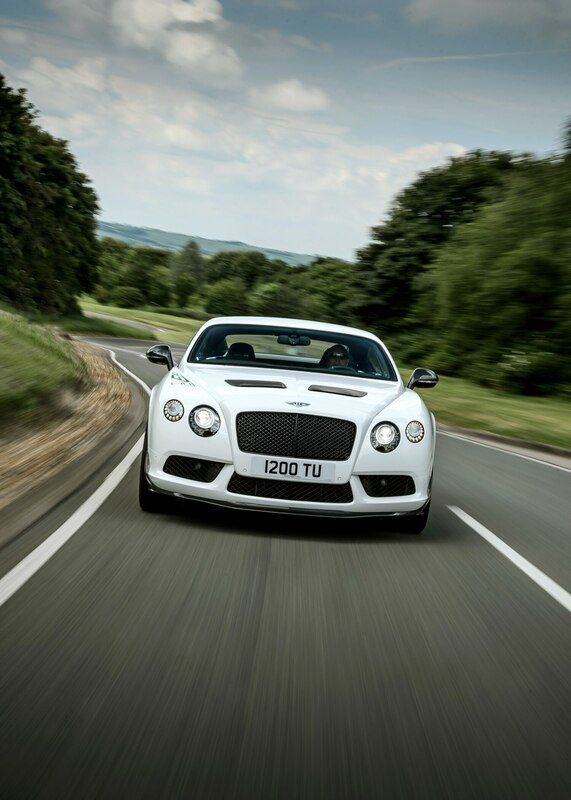 Although it can’t match the output of the GT Speed, the GT3-R is the liveliest Continental we’ve ever driven. 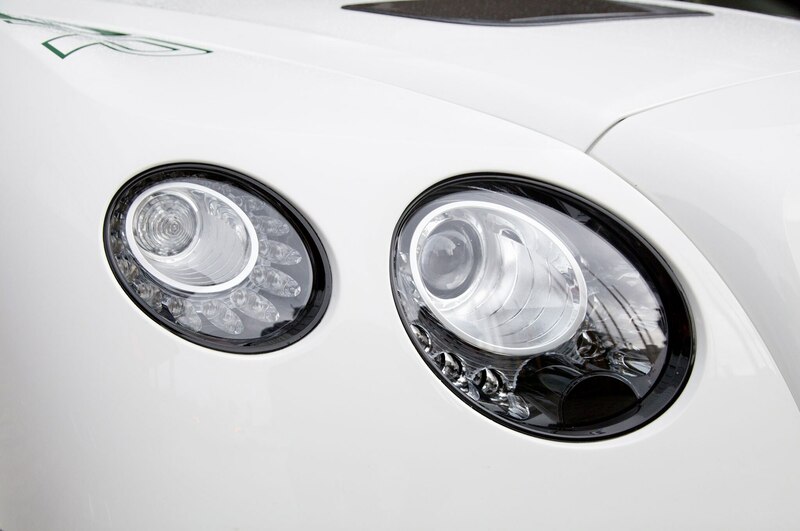 This Bentley isn’t just impressive underway; it lights out from a stop right now. 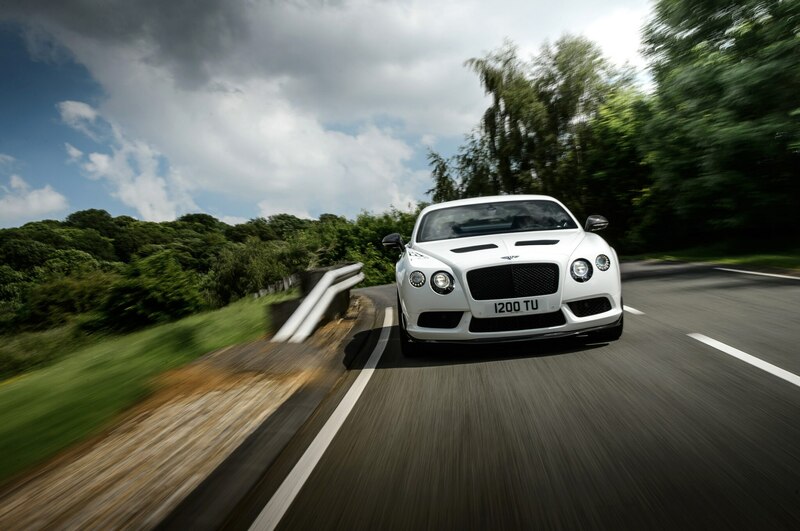 Aided by a lower final drive ratio, the GT3-R will rocket from 0 to 60 mph in 3.6 seconds, making it the quickest production Bentley ever. 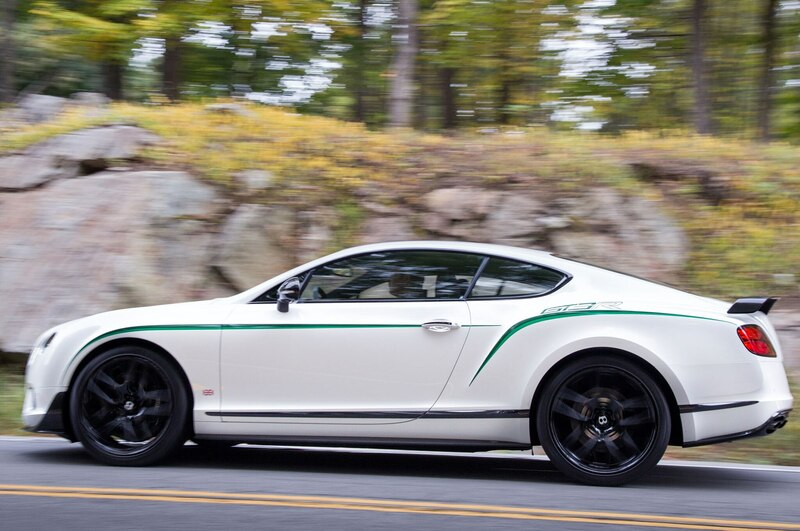 Standard carbon-silicon carbide brake rotors reel in this fast machine, and should provide fade-free performance. 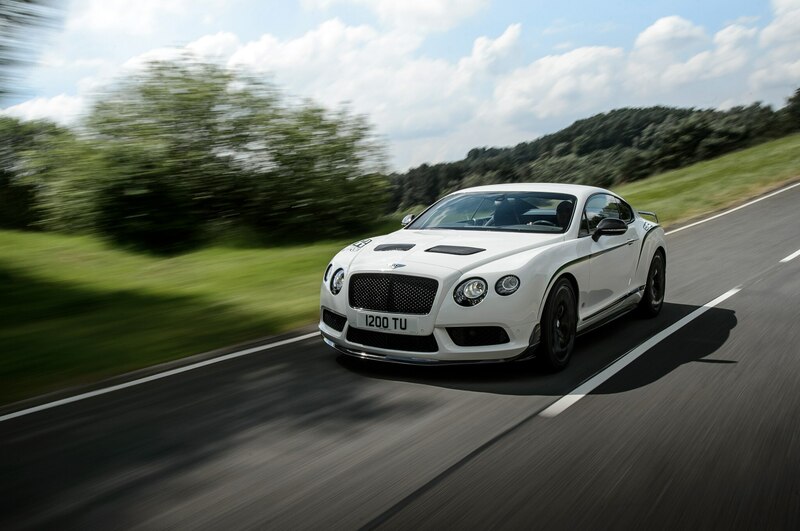 Aiding the GT3-R’s energy level is the fact that the car has shed some 220 pounds compared to the V8 S (and it’s 100 pounds lighter than the previous Supersports). 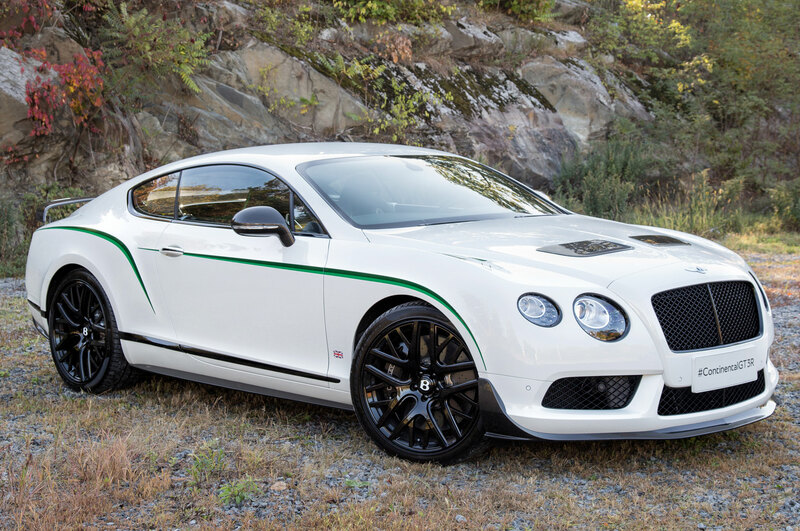 In addition to tossing out the back seat, other pounds-saving measures include switching to a titanium exhaust system and fitting lighter wheels. 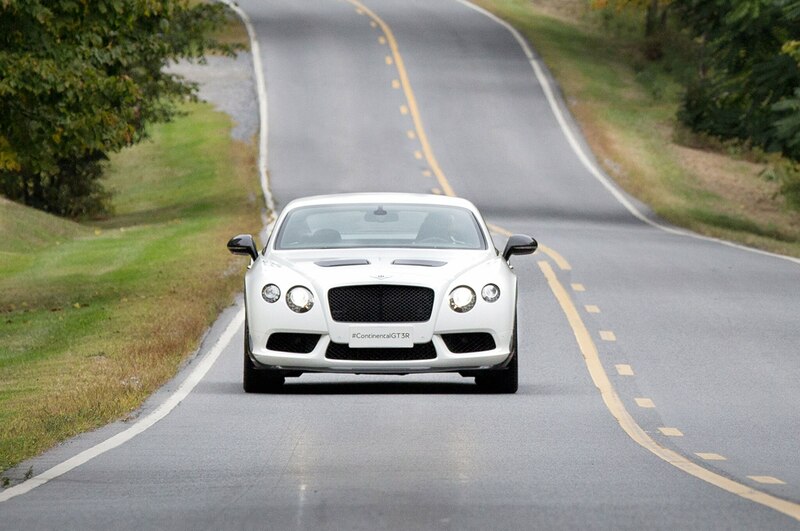 Of course, this is still a heavy car at 4,839 pounds, and it carries a lot of momentum into corners. 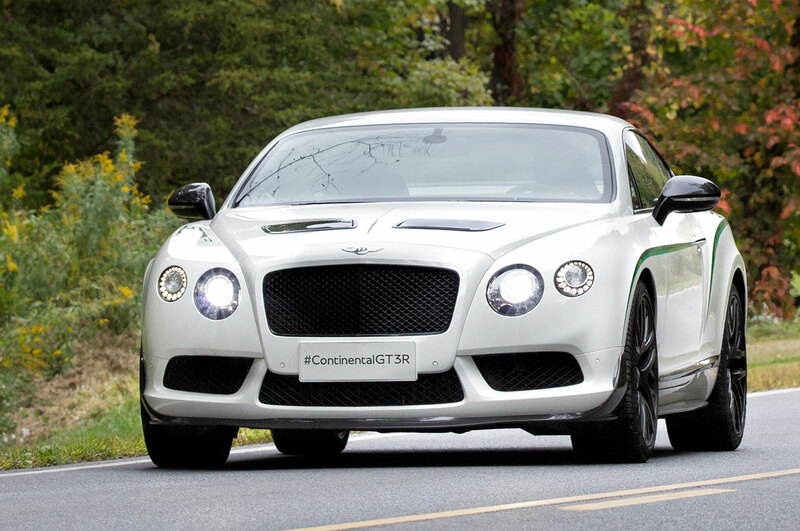 But as we plied the scenic back roads north and east of New York City, where the suburbs give way to gentlemen’s farms, the perfectly weighted steering and the well-tuned chassis made this big car easy to place, even at elevated speeds. 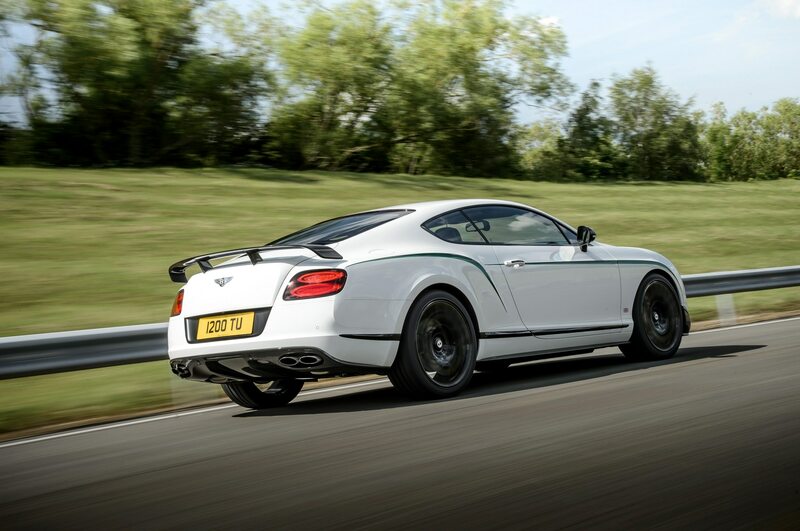 At the same time, skillful tuning of the GT3-R’s air-sprung suspension has helped this burly machine retain a surprisingly comfortable ride even rolling on 21-inch wheels wrapped in low-profile (275/35 ZR21 Pirelli P Zero) rubber. 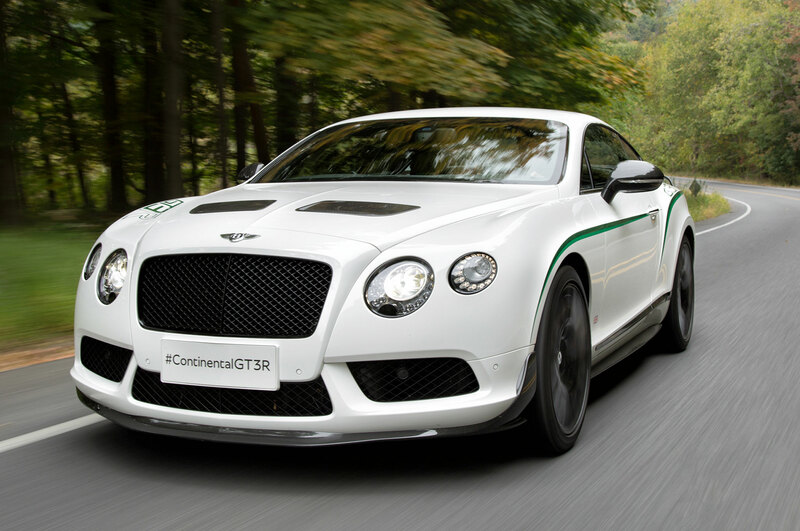 So the GT3-R is one special Continental, for which Bentley asks a whopping $337,000. 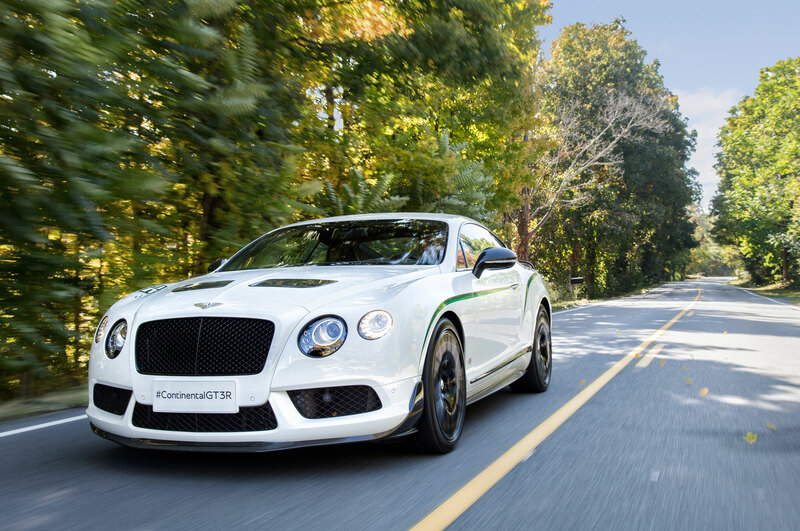 That figure represents a greater than 50 percent upcharge over the V8 S ($199,700) and also means that the GT3-R is more than $100K dearer than the Continental GT Speed ($227,700). 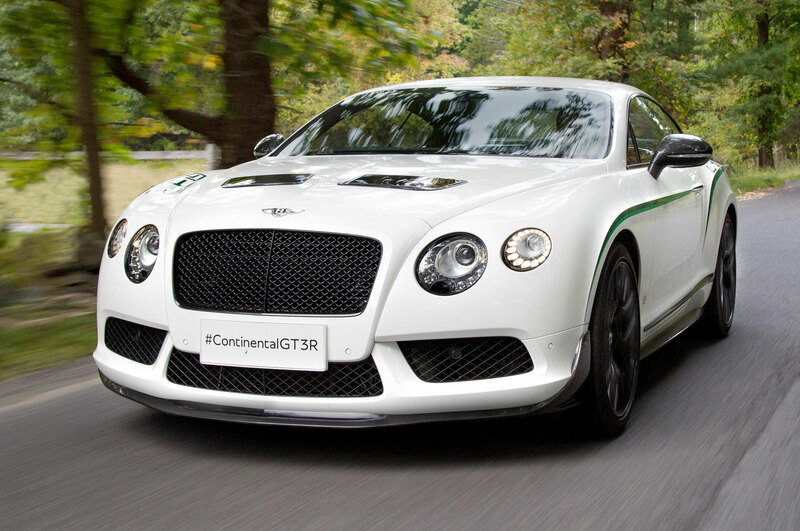 Does the unique appearance and altered driving experience make the GT3-R worth it? Before you answer, consider also that only 300 examples will be built, 99 (sequentially numbered) for the United States. Far be it from us to understand the economics in this rarified air. 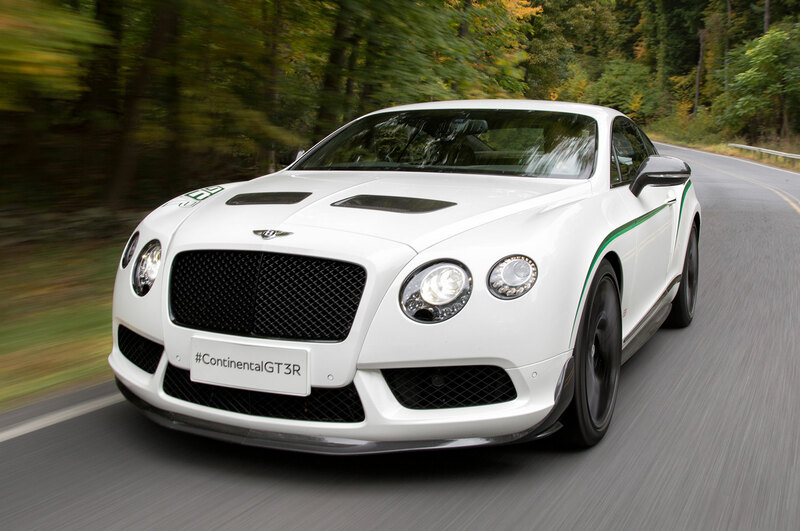 Disregarding what you pay for them, though, the changes visited upon the Continental to create the GT3-R are ones that we can definitely get behind. 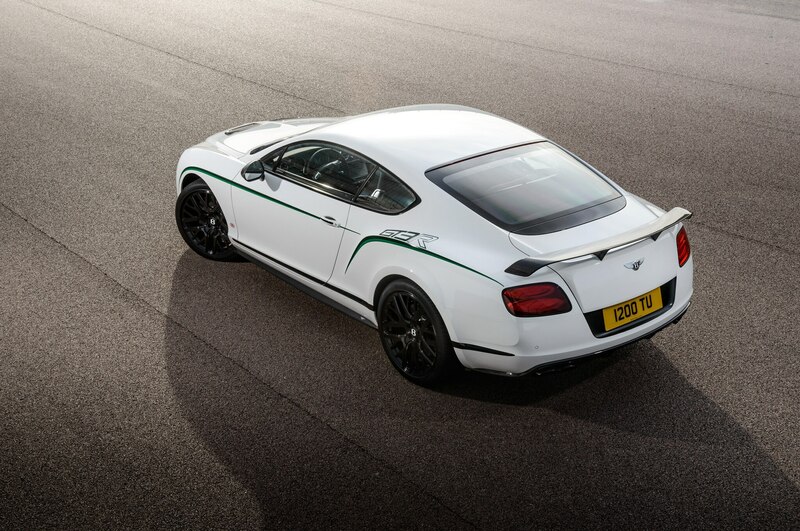 As for its exclusivity, that’s something we can’t put a price on. 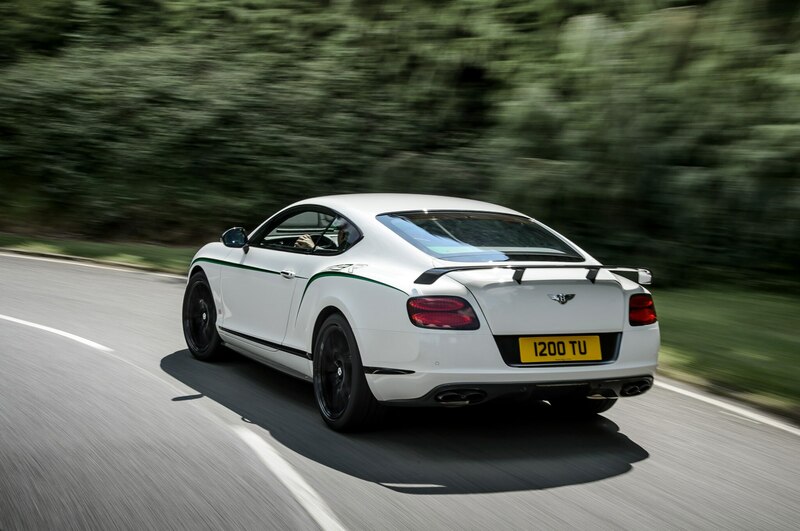 Would-be Bentley boys (and girls) will have to do that for themselves. 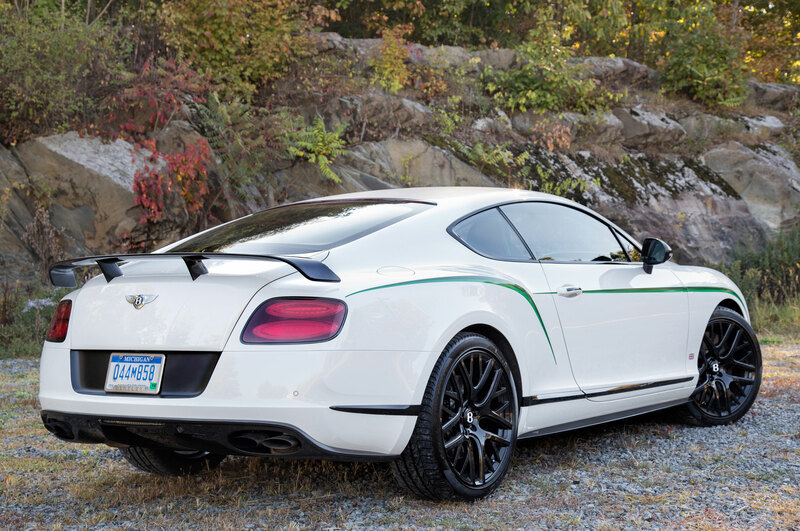 A Bentley in a track suit.